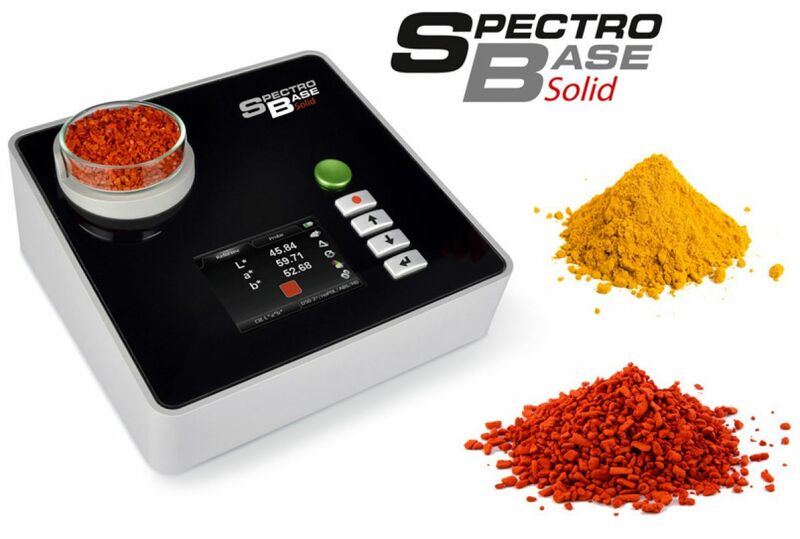 This reflection spectrophotometer handles precisely all solid samples, from pastes, powders, granulates to any colored surfaces. Typical applications are the color measurement of grains, nuts, cereals, spices, sauces, fruits, cheese and baked goods in the food industry. Other applications are the measurement of chemicals or cosmetic substances. The standard version is for measuring the samples in a petri dish. Specific sample holders are available upon request.